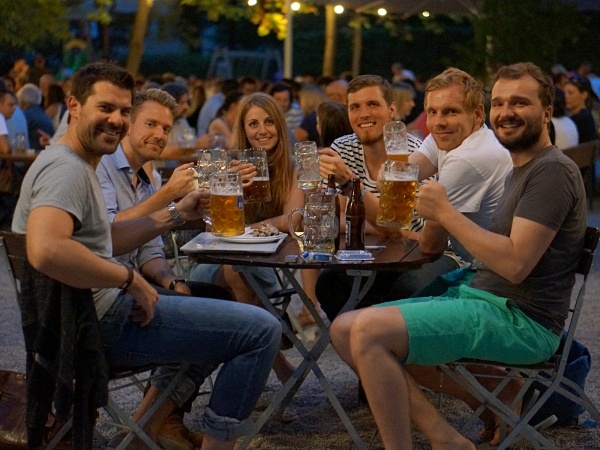 Taxisgarten is a quiet neighbourhood beer garden located in the Munich's Neuhausen district. The beer garden is a popular meeting place for residents of the area, not many tourists find their way here. Just a stone's throw away is the Taxisklinik, Bavaria largest maternity clinic. Over the years many freshly graduated fathers celebrated the birth of their newborns with a Maß in this beer garden. Taxisgarten exists since 1924. The building and beer garden property was originally a sanatorium for the veterans of the first world war. As time passed, Taxisgarten opened to the public. 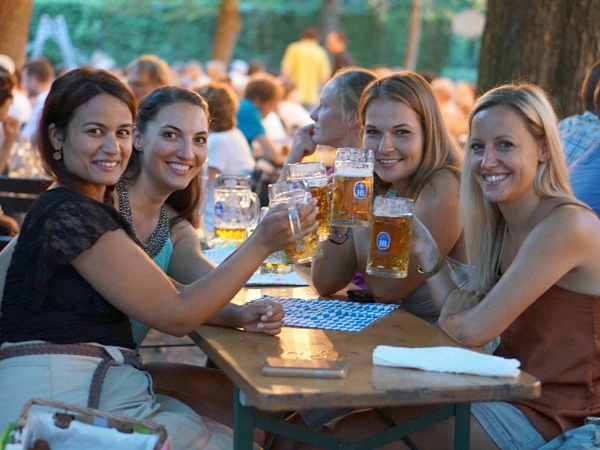 The beer garden has about 1,500 seats under large chestnut trees in the self-serviced area. Guests can sit either on traditional beer garden benches (some with back support) or on regular tables. Taxisgarten has no waitress served area or restaurant. The food stalls offer very delicious beer garden meals and snacks, such as Hendl (roasted chicken), spareribs, three types of Obatzda and country potatoes with avocado sauce. The beer served is Hofbräu and one Maß Hell (lager) costs €7.90 (May 2016). The ballroom with space for up to 250 guests can be rented for special occasions, such as private events and weddings. The ballroom is also used for showing major football tournaments live on a screen. Depending on the weather, the beer garden is open from Monday to Sunday between 10am and 11pm. This page was last modified on 18 May 2018, at 18:48.